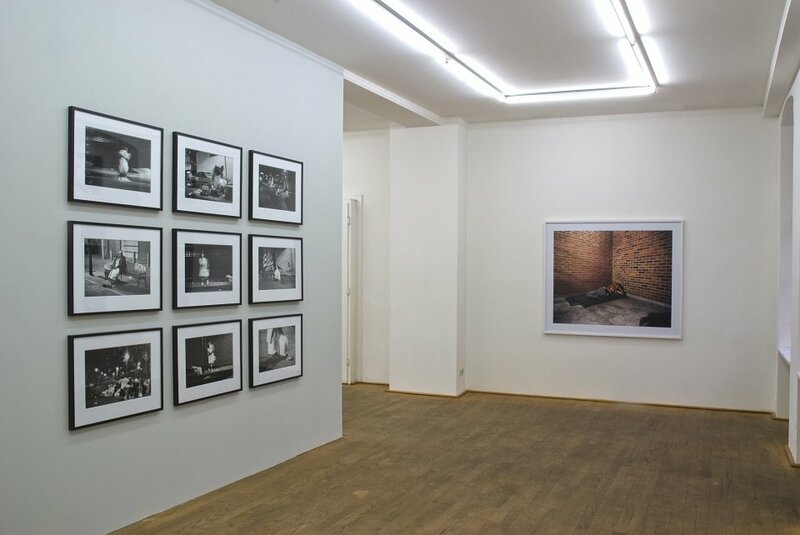 »A Look Away« is the first of two exhibitions on Contemporary South African Art at Gallery Kuckei + Kuckei in Berlin. While the first show will focus on the latest developments in photography, the second part, titled »Why not?«, will present artists working in various mediums such as sculpture, installation, video and performance. »A Look Away« introduces four emerging photographers from different origins in South Africa: Pieter Hugo, Sabelo Mlangeni, Mikhael Subotzky and Nontsikelelo Veleko. 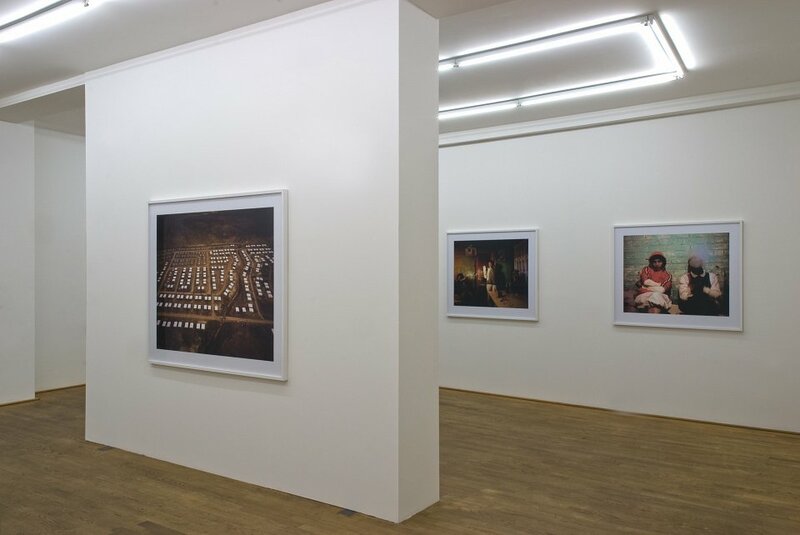 Furthermore the show will present works of documenta participant Guy Tillim. The title of the exhibition is also the name of a recently founded art magazine in South Africa. It ironically describes what photography in Southern Africa always avoided. Especially in the years before 1994 photography was first and foremost an artistic tool to relentlessly visualize the political and social grievances in the fight for democracy. 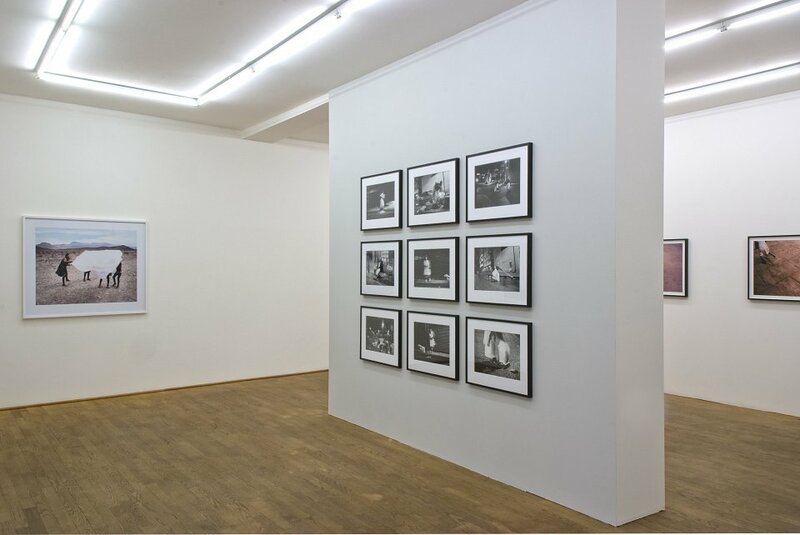 Examples would be the famous works by Ernest Cole, Jürgen Schadeberg and David Goldblatt. The younger generation of South African photographers strongly draws attention to the unknown and unnoticed in a complex society. The artists selected in »A Look Away«, each aware of their photographic traditions, offer individual portraits of African realities resulting from a personal search for new forms in contemporary photography. 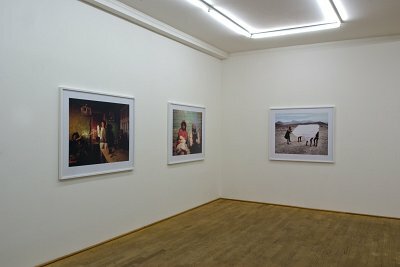 The argumentation of the exhibition follows the sensitive approach and empathy of all photographers when depicting social, political or common issues in Southern Africa. Especially in a time when media and press often convey a simplified and blurred image of South Africa, contemporary artistic positions – in this case photography – can show us how to distinguish and to be skeptical of the broadcasted media. Pieter Hugo was born in 1976 and grew up in Cape Town where he lives and works today. He underwent a two-year residency in 2002-3 at Fabrica, the Benetton-funded interdisciplinary school of the arts in Treviso, Italy. Hugo is a self-taught photographer and filmmaker, whose work focuses on social issues with an emphasis on Africa and other developing countries. His works have been shown in numerous international solo and group exhibitions, among others in New York, Rome, Lisbon, Geneva, Los Angeles, Milan, at the 27th São Paulo Biennale and at the Witte de With in Rotterdam. Among others he won the first prize in the Portraits section of the 2006 World Press Photo competition, and was the Standard Bank Young Artist for Visual Art 2007. 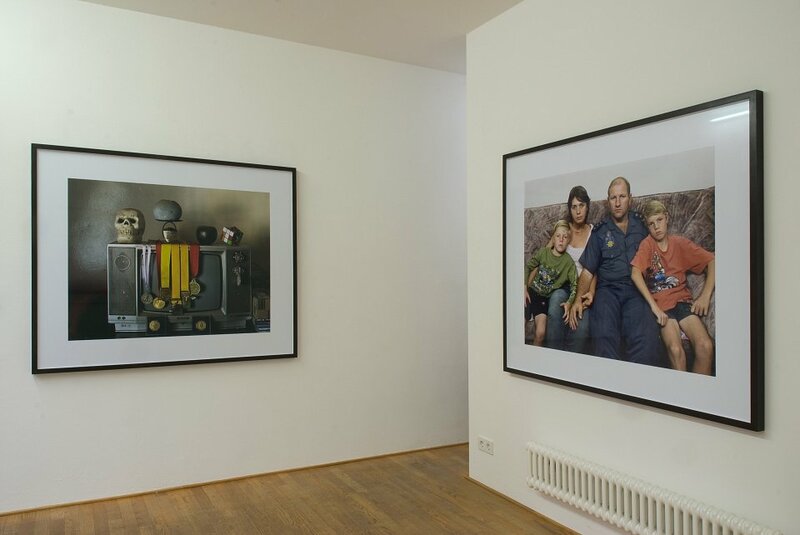 Pieter Hugo has recently won the Discovery Award 2008 at the Rencontres d’Arles festival. He is also the winner of the KLM Paul Huf Award 2008. In the exhibition »A Look Away« at Kuckei + Kuckei his series »Messina/Musina« will be shown. Pieter Hugo draws an impressive portrait of northern-most town in South Africa. In his photographs of individuals, families, interiors, landscapes and incidental details, Hugo reflects on the wounds and scars of race, class and nationality that persist here, on the border of Zimbabwe. Sabelo Mlangeni was born 1980 in Driefontein, a suburb of Johannesburg. He is an 2004 graduate from the Market Photo Workshop in Johannesburg. This hands-on program founded by David Goldblatt teaches photography and visual literacy to people historically disadvanted by apartheid. Sabelo Mlangeni lives and works in Johannesburg. He is the 2005 Winner of the Top 15 Ekurhuleni Fine Arts Award. In 2006 he was the recipient of the Edward Ruiz Mentorship. In 2007 Mlangeni has been selected as »Young Bright Thing« by Art South Africa magazine. His first in depth series called „Invisible women» emerged in 2006. It took Mlangeni months of dogged persistence to spent many night hours studying, working and documenting municipal workers cleaning the streets of Johannesburg. 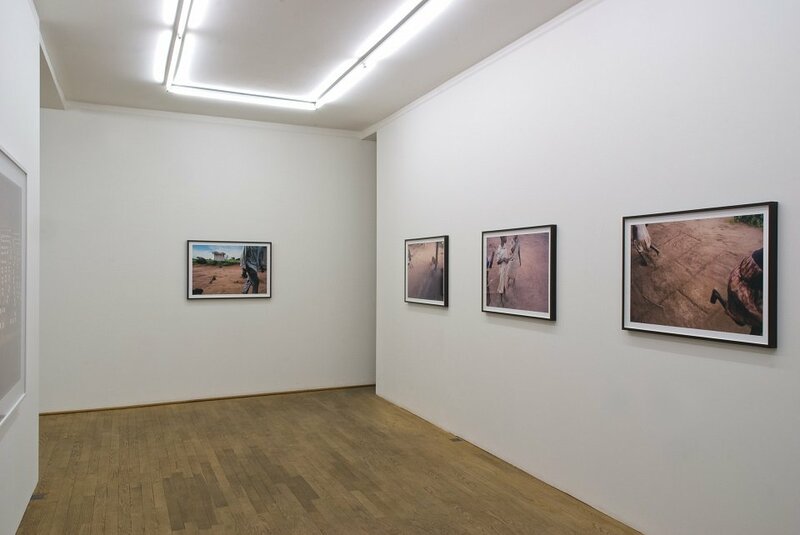 Mikhael Subotzky was born in Cape Town, South Africa in 1981, where he is still living and working today. He was the only student at the Michaelis School of Fine Art in Cape Town ever to achieve 100% as a final year mark. Subotzky’s work can be found in the collections of the South African National Gallery, the Johannesburg Art Gallery and the Museum of Modern Art, New York. Subotzky is the youngest photographer ever to be represented by Magnum Photos in New York. Mikhael Subotzky is the winner of the 2008 ICP Infinity Award (Young Photographer), 2007 KLM Paul Huf Award, the 2007 City of Perpignan Young Photographers Award and the 2006 F25 Award for Concerned Photography. 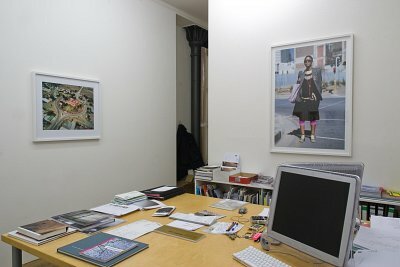 The exhibition »A Look Away« at Kuckei + Kuckei will present his new series »Beaufort West« (2006-2008), which simultaniously will be shown at the MoMA, New York, together with works by Josephine Meckseper, as part of the exhibition »New Photography 2008«.In this work Subotzky portrays a small desert town in South Africa’s Western Cape blighted by unemployment, rampant crime, domestic violence, poverty, and segregation. The artist was drawn to this subject by the local jail, which is strangely situated in the center of the town, in a traffic circle at the intersection of the main highway between Johannesburg and Cape Town. His photographs of Beaufort West’s various populations-inmates, outcasts, families, residents, and passersby-formulate a stirring vision of South Africa’s strained post-apartheid condition. Nontsikelelo »Lolo« Veleko was born in Bodibe, North West Province in 1977, and grew up in Cape Town. Today she lives and works in Johannesburg. She started her studies at the Cape Technikon, and later continued to study photography at the Market Theatre Photo Workshop in Johannesburg. 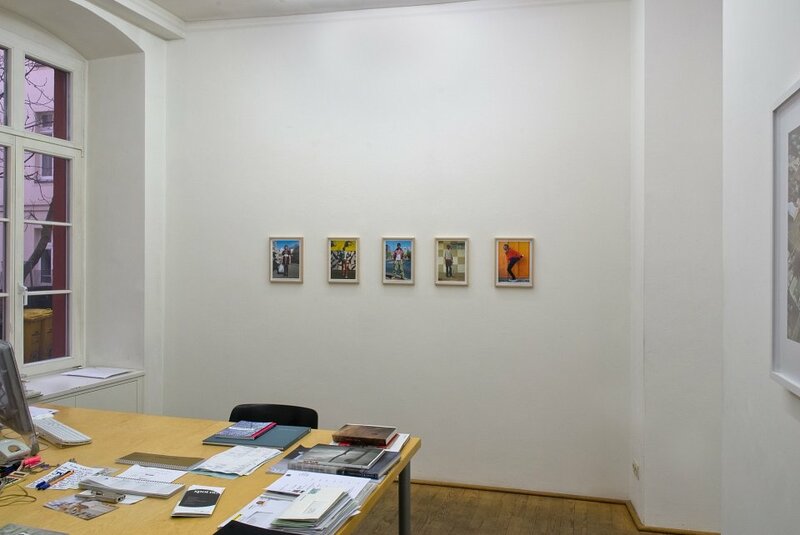 Already during her studies Veleko’s works were presented in South Africa as well as in several international exhibitions and publications. Lolo has been nominated for many awards and grants. Recently she has won the Standard Bank Young Artist Award 2008. The exhibition »A Look Away« at Kuckei + Kuckei presents portraits of South African young people from the series »Beauty is in the Eye of the Beholder I« and »Wonderland«. In her vivid and powerful pictures, Lolo Veleko provides an insight into South Africa’s urban life. Even more through her precise observations, she shows the meaning of fashion in the search for one’s own identity. 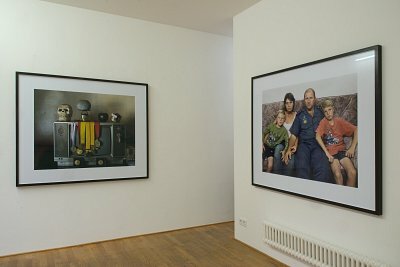 At the same time, a second question concerns the perception of beauty and identity, perception that is in the eye of the beholder – as suggested by the title itself. Guy Tillim was born in Johannesburg in 1962. He lives and works in Cape Town, South-africa. Tillim is one of Southafricas leading contemporary photographers. In 1986 he began working professionally as photo journalist for Afrapix as well as home and foreign media. He received numerous awards for his artistic and journalistic work. In 2002 the Prix SCAM (Societe Civile des Auteurs Multimedia) Roger Pic, in 2003 the Higashikawa Overseas Photographer Award, in 2004 the Daimler Chrysler Award for South African Photography and in 2005 the renowned Leica Oskar Barnack Award. 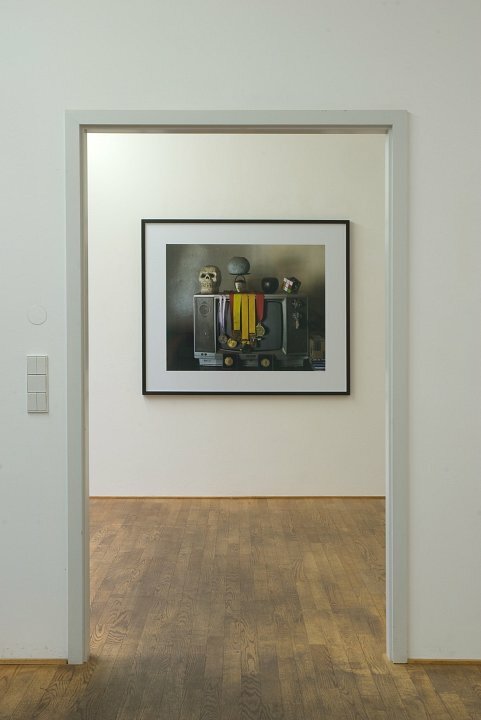 Tillims works are represented in important international collections and were shown in various exhibitions. Recently at the Documenta 12, the São Paulo Bienal (2006), at the Neue Galerie Graz, as part of the show Photography, Video, Mixed Media III at Daimler Contemporary in Berlin and at the large-scale travelling exhibition Africa Remix. The series »Petros Village«, presented as part of the exhibition »A Look Away« at Kuckei + Kuckei, was already shown at the Museo di Roma in Trastevere/Rome as part of the Rome Photo Festival. 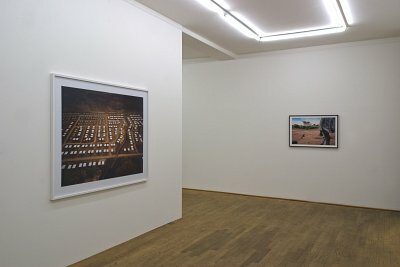 Tillim spent several weeks at Petros Village, a small town about 50 km north of the capital Lilongwe in Malawi, in order to attend the everyday life, conversations and routines of it’s inhabitants. His sensitive pictures of the village residents and the place itself convey calmness and modesty. 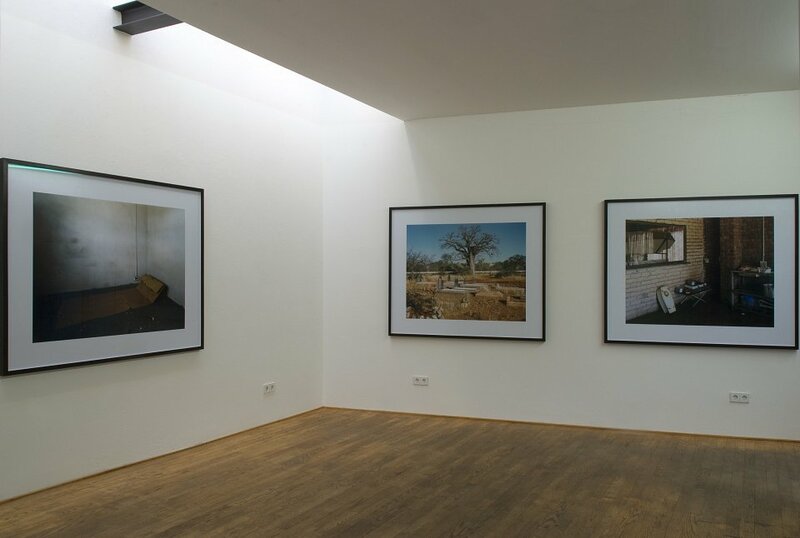 Tillim’s attention is not captured by the sensational event but rather the revealing moments »in between«. With his pictures he captures gestures and structures, which otherwise might easily be overlooked.